Aeration - Selectkoi - Your online koi and pondspecialist ! Hailea powerful piston pump with air outlets manifold. The only original HIBLOW pumps! 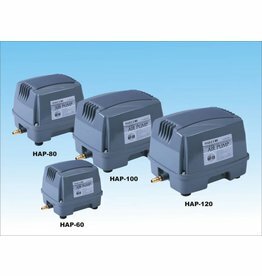 AIR PUMP AP SERIES. The aqua forte air pump AP-series is currently the most economical pond air pump with the highest pressure at this wattage. 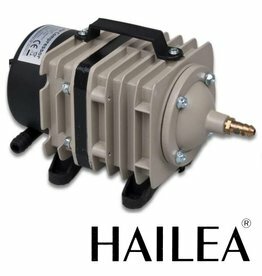 Powerful HAILEA diaphragm air pump. 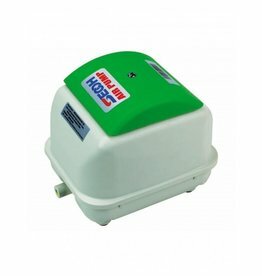 The most reliable and powerful diaphragm air pump in its price range. LA Air pump / Piston (Piston) pump. Nitto Kohki reciprocating compressors are known as one of the most reliable air pumps. These pumps are widely used in industry and hospitals that use security must be guaranteed.